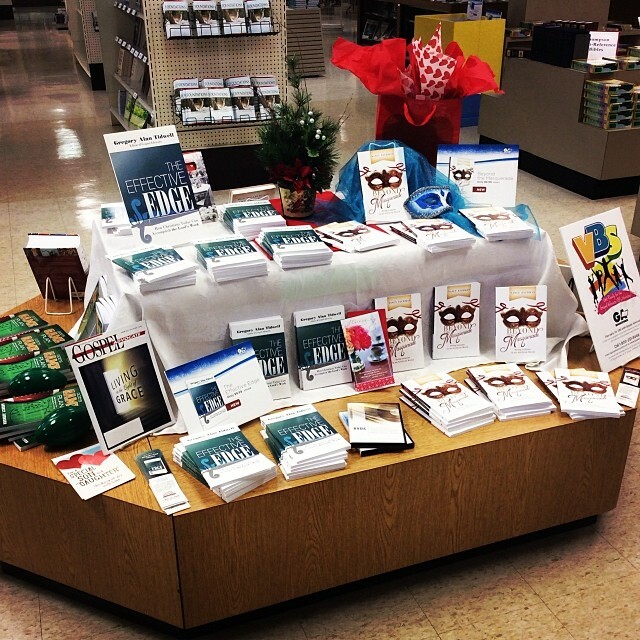 Come Visit Gospel Advocate at the 2015 Freed-Hardeman University Lectures! The Freed-Hardeman University Lectures run from Feb. 1-5, and Gospel Advocate hopes to see you there. We will have book specials in our booth at Brewer Sports Center every day and some great events that we hope you’ll be a part of. 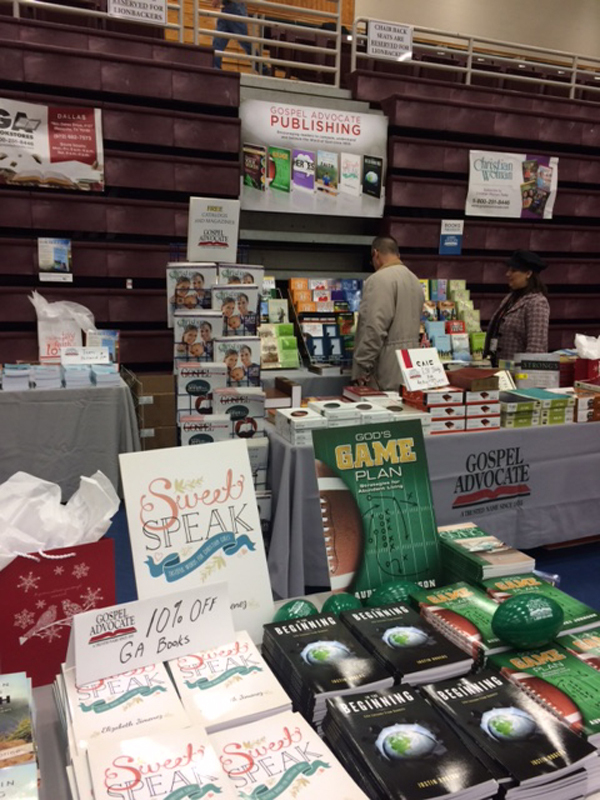 Several Gospel Advocate authors will be signing books at our booth at different times during the lectures. On Monday, Feb. 2, stop by at 3:30 to meet Gospel Advocate Editor Greg Tidwell. He’ll be signing his new book, The Effective Edge. Greg and Christian Woman Editor Janie Craun, (author of A Recipe for Peace) will be available to answer questions about writing for Gospel Advocate magazines. 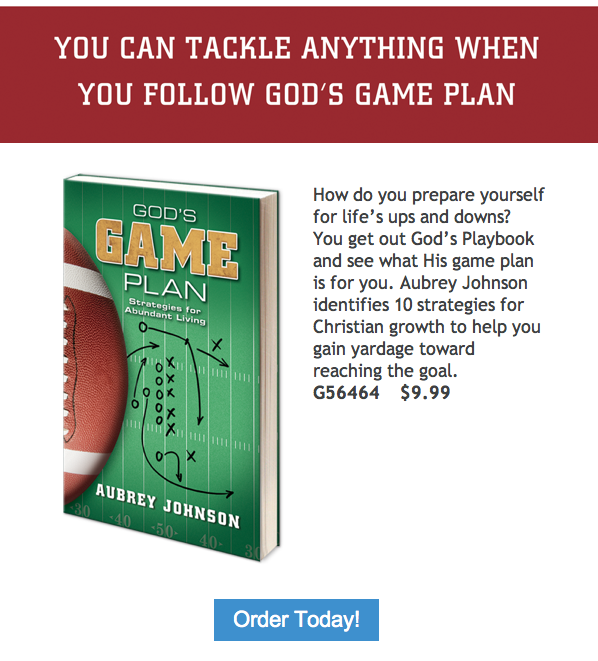 On Wednesday, Feb. 4, at 11:15, Aubrey Johnson will be signing his latest book, God’s Game Plan. Elizabeth Jimenez will be signing her brand new book for teen girls, Sweet Speak, and FHU Assistant Professor Justin Rogers will be signing his wonderful new study of Genesis, In the Beginning. It’s frigid outside here in Nashville, but our store is open and stocked with all of our latest titles such as “God’s Game Plan,” “Beyond the Masquerade,” and “The Effective Edge.” Come and see us! Before Jesus returned to heaven, He commanded His disciples to be fruitful. “By this my Father is glorified,” Jesus said in John 15:8 (ESV). Bearing fruit implies success, accomplishment and a fulfillment of one’s purpose. In short, bearing fruit implies effectiveness. This is the kind of life Gregory Alan Tidwell encourages all Christians to have in The Effective Edge. Becoming effective disciples is important if we are to fulfill Jesus’ plan and if we are to glorify God with our lives. 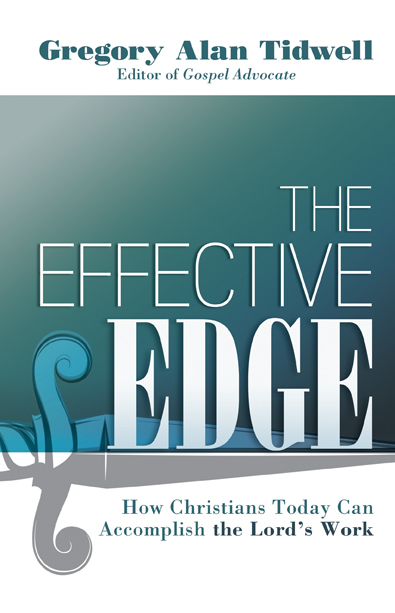 In The Effective Edge, Tidwell outlines 12 areas on which a Christian should focus, explaining how to be effective in each area and how each contributes to an overall effective life. Tidwell’s goal is simply to help Christians become “steadfast, immovable, always abounding in the work of the Lord” (1 Corinthians 15:58). If this is a goal you have for your life as well, let The Effective Edge provide the direction and encouragement you need so you can achieve it with success. 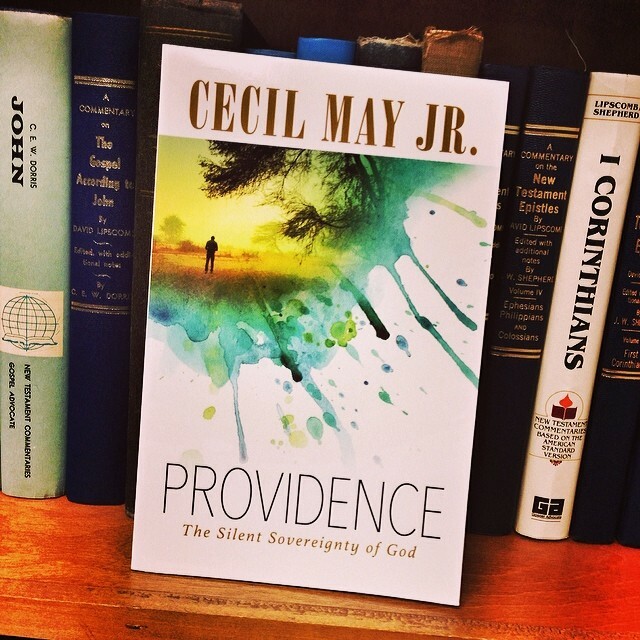 Explore your purpose in God’s kingdom with The Effective Edge. You have always enjoyed studying the Bible. 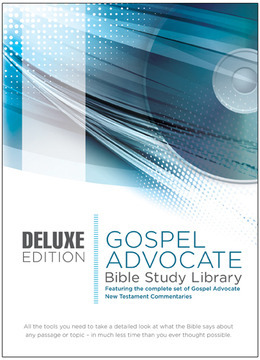 Using the updated Gospel Advocate Bible Study Library, now you can make your study time more effective than ever. *Follow the links above for system requirements and more information on the specific reference tools included in each edition. For a comparison of the contents of the Basic and Deluxe versions, click here. Eating together has always gone hand in hand with Christian fellowship. Maybe that is why it is so often said that the best recipes in the world can be found in church cookbooks. 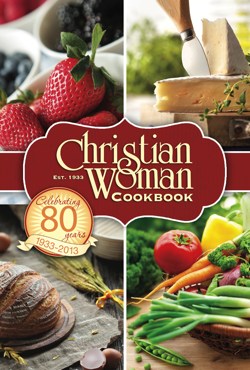 The Christian Woman 80th Anniversary Cookbook, filled with wonderful recipes for many occasions, will make a great addition to any kitchen. Order three or more subscriptions to Christian Woman magazine through Dec. 31, 2013, to receive this cookbook as a free gift of appreciation. The cookbook may also be purchased separately for only $14.99. 64 pages, in full color, make this a very attractive addition to your cookbook library. Recipes range from everyday favorites to elegant offerings that would work well for dinner parties. 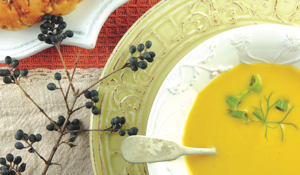 Try out this easy recipe for Creamy Butternut Squash and Apple Soup at your next gathering. A small pie pumpkin can be substituted for butternut squash. Rinse outside of squash; microwave on high for 1 to 2 minutes. Cut squash in half lengthwise. Scoop out seeds; cut in half again crosswise. Combine squash, apples, chicken broth, onion, thyme, water and pepper in a large stockpot or Dutch oven. Bring to a boil over medium-high heat; reduce heat and simmer, uncovered, 45 minutes or until squash is tender. Remove squash with tongs and let cool enough to handle. Scoop cooked squash from rind; discard rind. Combine squash and 1 cup soup mixture in bowl of a food processor; cover and process until smooth. Process remaining soup mixture in batches. Combine blended soup and whipping cream in same stockpot. Cook over medium heat just until thoroughly heated. Makes about 8 cups. Note: Freeze in airtight containers for up to 3 months. Thaw in refrigerator overnight before reheating. In a world of designer knockoffs, imitation leather and artificial sweeteners, we discover that people can be artificial too. We lack sincerity and depth and wear plastic smiles. We don’t say what we mean and don’t mean what we say. But there is hope: “Reality … is found in Christ” (Colossians 2:17). We don’t have to be people-pleasing, mask-wearers we see so often in the world. We can be transformed into genuine children of God by modeling our lives after the truly authentic One: Jesus Christ. In this book, Nancy Eichman presents the attitudes and habits we should drop and those we should adopt in order to be more authentic – to be more like Christ. 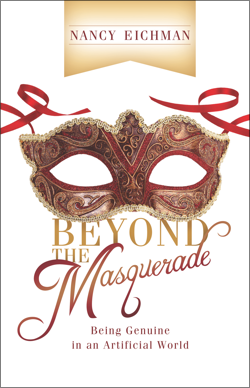 So leave your mask at the door and join Nancy for a refreshing look at what your life can be when you learn to live Beyond the Masquerade. Nancy Eichman has written several best-selling books for ladies classes. She is the author of titles such as Seasoning Your Words, God’s Makeover Plan, Keeping Your Balance, Conquering Your Giants, The Road to Forgiveness and Getting Along. The family was God’s first institution. Long before a people, a nation, a kingdom or a church, God established the family made up of a husband and wife, or a father and mother and children. But He did not leave that family uninformed. By example and precept, the Bible furnishes careful guidance that points each family today to be complete and effective for one another and for God. 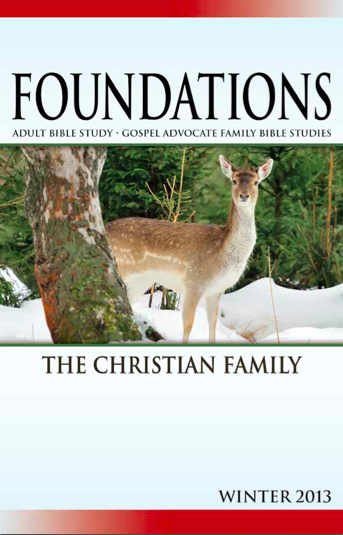 This quarter’s study of the Christian family covers a wide range of topics, from conversion and Christian living to marriage, meeting family needs, and even conquering issues like work and substance abuse. It’s a powerful reminder of God’s place in your family life. Also available for your teens is Horizons, based on the same topics but specifically written and designed with teenagers in mind. Call 1-800-251-8446 to order or visit our online store. Jesus often taught His followers by comparing heavenly truths with earthly experiences. In American culture, few things are as familiar and popular as sports. In the fall, football reigns as the king of athletic competition. Following Jesus’ example, football (an earthly experience) can be used to illustrate the importance of spiritual growth and to mark a clear path for attaining spiritual maturity. Christ called this lifelong growth process “abundant life.” Simply put, it is life as God intended, full and overflowing with spiritual blessings. Making this quality of life accessible to you was Jesus’ reason for coming to earth. In John 10:10, He declared, “I have come that [you] may have life, and that [you] may have it more abundantly” (nkjv). The key to enjoying an abundant life is following Jesus’ teaching and example. By becoming a better person, you experience a more rewarding life. But never forget that the joy is in the journey. Spiritual growth is the secret to abundant life. It begins with salvation from your past sins and continues with sanctification or growth in Christlikeness (Galatians 2:20; Ephesians 4:13). 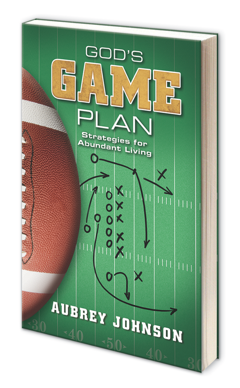 The key to forgiveness and spiritual growth is to follow God’s game plan in the Bible. The New Testament reveals 10 growth strategies to help you move forward in life. They are hash marks for a holy life. In football, yard markers help players measure their progress. The first-down marker shows a ball carrier exactly where he needs to be. As a result, he stretches to reach beyond it. Without field markings, it would be hard for a player to gauge his progress or enjoy the thrill of success. For the Christian, Satan is your opponent; he hopes to stop your progress in the faith. Life is the field of play, and continual growth (abundant life) is the goal. God is your coach; He challenges you to be your best. 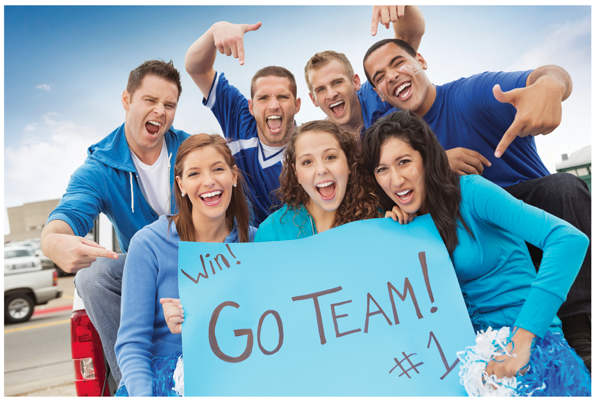 The church is your team to support you in reaching your spiritual potential. 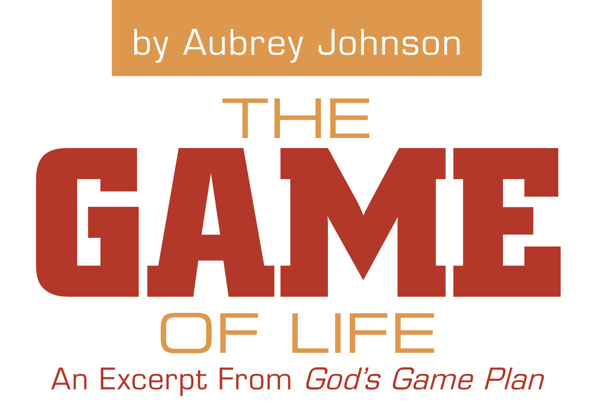 The Bible is God’s game plan for life, and your daily choices make up the series of downs.